The basement of a home can be a place to spend time with family or a place to store belongings. It is essential that your basement stays a dry, comfortable environment. A moist basement is problematic in many ways. Matthews Wall Anchor & Waterproofing doesn’t just specialize in foundation repair, we also can waterproof your home and guarantee the safety of you and your family. If your basement or foundation walls have cracks, serious issues will arise. Water takes the path of least resistance, therefore a crack is an open path for water to enter a home. Water or any significant moisture can result in mold growth in your basement. Mold is a very serious problem that should be dealt with immediately. Mold releases spores into the air and this is the air you and your family are breathing. Depending on the type of mold, different spores can have different effects on people. However, one thing is for certain, no matter what type of mold it is, you do not want it in your home. What is not commonly realized, is that basements contribute to the ventilation of a home. A vast majority of the air in your home has at one point been circulated through the basement. It is now becoming easier to understand why mold spores present are dangerous. They can easily spread throughout the home’s air supply. This is where we come in. Matthews Wall Anchor & Waterproofing has the services and products to eradicate mold before it becomes a serious issue. The crawl space is often the source of many moisture issues. 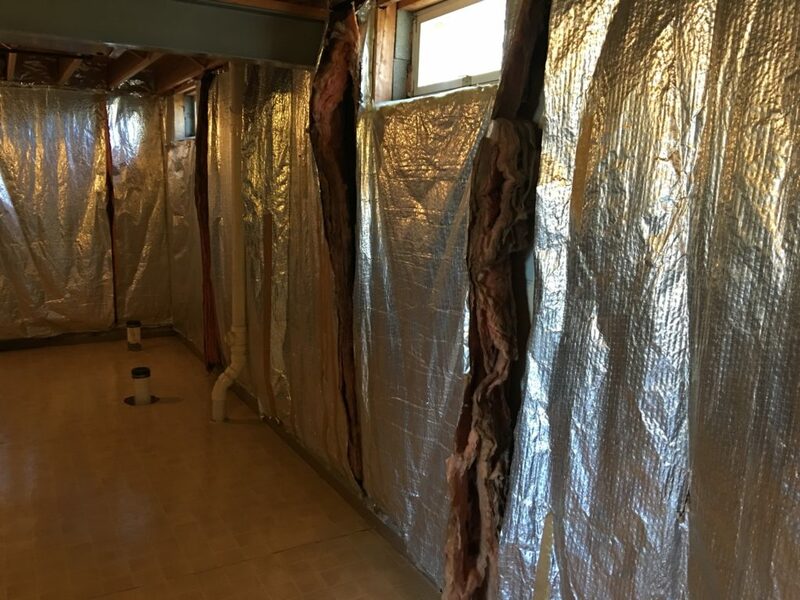 We attack the problem at the source by installing our crawl space vapor barriers. These poly crawl space encapsulation barriers are thick, puncture resistant, and made of a high tensile strength material that stops soil moisture from entering the space from the soil. The vapor barriers are similar to pool barriers, they will prevent any vapor from invading your home. We are your vapor barrier service provider in Pennsylvania and Ohio.